Sedro Woolley is full of old-time charm with its murals and life-sized statues seen through its downtown area. The Sedro Woolley Museum chronicles the rich history of Sedro Woolley's logging mining and agricultural past. Riverfront Park off the Skagit River offers park goers approximately 60 acres of boat launches, picnic shelters, BBQ pits, baseball fields, an RV park, amphitheater and an off-leash dog park. Ball fields, a playground, and picnic tables can also be found at Bingham Park. Celebrating its long history as a logging town, the annual LoggerRodeo is the longest-running Fourth of July celebration in the State of Washington. The event features carvings made using chainsaws, pole climbing competitions, a beard growing contest, axe throwing and log rolling, along with a ride-filled carnival, parade, and fireworks display. 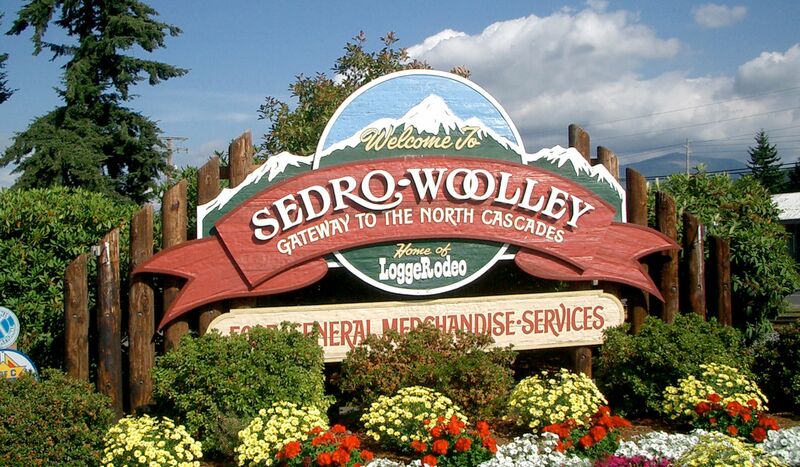 Sedro Woolley includes the communities of Lyman, Hamilton, Birdsview, Baker Lake and Lake Shannon.